… is pretty fun to use. 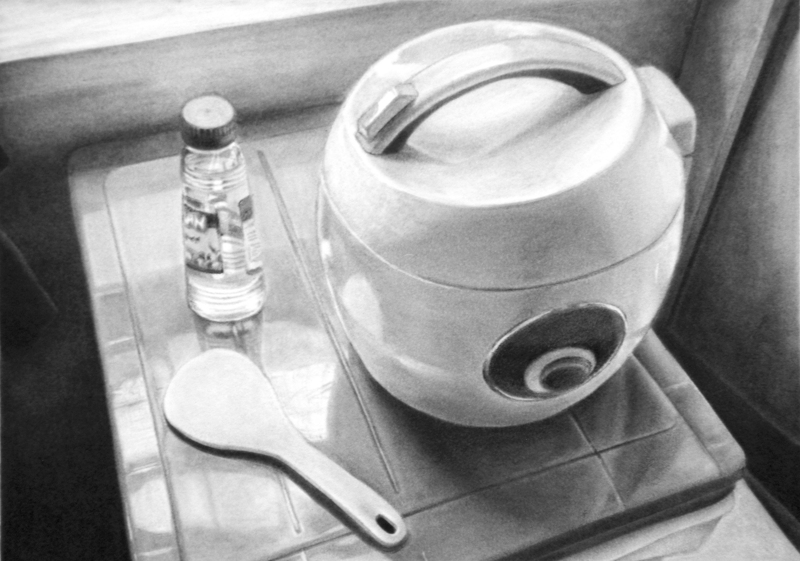 A graphite rendering of my everyday struggle with food. All that’s on top of this plastic container thing that I keep my dry foods in.